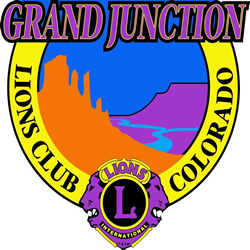 The annual Grand Junction Lions Carnival event takes place in Grand Junction Colorado in February. This popular parade and carnival celebration is an annual tradition in Grand Junction, helping raise huge amounts of money for the local community. Don’t miss this great local fundraising opportunity for the Western Slope – the carnival is known for wonderful prize giveaways each year! Bring your family and tell your friends – purchase your Grand Junction Lions Carnival Raffle tickets today! Find more great Deals for Grand Junction and don’t miss this years Lions Event! 81501, Convention Center Events in Grand Junction, Convention Center Grand Junction, Events 81501, Events at the Two Rivers Convention Center, Events Calendar Grand Junction, Family Fun Grand Junction, Grand Junction Colorado Clubs, Grand Junction Colorado Events, Grand Junction Lions, Grand Junction Lions Carnival Event, Lions Benefit Grand Junction, Lions Carnival, Lions Club Grand Junction, Lions GJ Carnival, Lions Parade, Lions Parade and Carnival, Main Street Parade Grand Junction, Mesa County Colorado Events, Things to do in Grand Junction, Two Rivers, Two Rivers Convention Center Events, Western Slope Events, Western Slope Lions Club, When is the Lions Club Carnival?